A bit late due to being down south but Happy New Year to everyone. Last year ended on a bit of a downer with some family deaths…in fact there were a lot of people I knew off who passed away and that sad fact can only be tempered by the amount of births with Roy already announcing another for this year. As per usual I have no resolutions for the year or major goals (although a little weight loss would be helpful) although I will try to keep in touch (and visit) more friends than I normally do. Be warned! So – 2005. My best bits? A close thing for my favourite album but Madonna just snuck it. I loved almost every track on the album and could listen to it straight through time after time. Not bad for a 47 year old. Other’s I loved included Amerie, Chemical Brothers, Franz Ferdinand, Gorillaz and Hard-Fi. Coldplay’s X&Y was also a grower – at first I wasn’t sure but it has turned into an essential album. KT Tunstall was also listened too loads this year but that was definitely a 2004 album. Project Gotham 3 was my favourite game – there are very few that I try and complete but this was one of them. A strong single player mode and great online options make this an easy winner. Other greats – Geometry Wars, Call of Duty 2 (even I’m surprised at the quality of this game), GTA3:Liberty City Stories, Wipeout Pure and Halo 2 sneaks in for most played game. This year was a little weak for me with regards film. 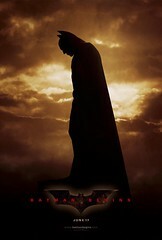 I loved Batman Begins although that is probably more to do with my Batman fixation than the quality of the film. Notable mentions – Crash, War of the Worlds, Sideways (maybe last year) and A History of Violence. Not seen King Kong or Munich though so this list will probably change. Here’s looking forward to more in 2006.